Sour cream is cream that is soured by adding lactic acid bacteria to fresh pasteurized cream. It has a thick creamy texture and a tangy flavour. The fat content of fresh sour cream must be at least 18% in the US. (The Wellness Encyclopedia of Food and Nutrition). Commercial sour cream contains at least 14% milk fat. It may also contain milk and whey solids, rennet, starch; emulsifying, gelling, stabilizing and thickening agents and preservatives, to give it a longer shelf life. Here are the typical ingredients in my tub of sour cream: Milk Ingredients, Modified Corn Starch, Guar Gum, Carageenan, Locust Bean Gum, Sodium Citrate (preservative) and Bacterial Culture. Contains less butterfat than regular sour cream, because it is made from a mixture of cultured milk and cream rather than just cream. Here are the ingredients in my tub of low fat sour cream: Milk, modified milk ingredients, modified corn starch, propylene glycol, mono fatty acid ester, pectin, colour, sodium phosphate, cellulose gel, carrageenan, cellulose gum, bacterial culture. Contains no cream at all. It is made primarily from cultured skim milk, modified cornstarch, thickeners and flavouring agents. It’s used to enhance flavour of sweet and savoury food, in baking (cakes, muffins, cookies) or as a topping for soups, stews, baked potatoes, nachos, meats, and salads. It’s also used as a base for making dips, sauces and salad dressings. It’s the main ingredient in chicken paprikash and beef Stroganoff. It can also be served with fresh fruits as a dessert. How is Crème fraîche different from Sour Cream? 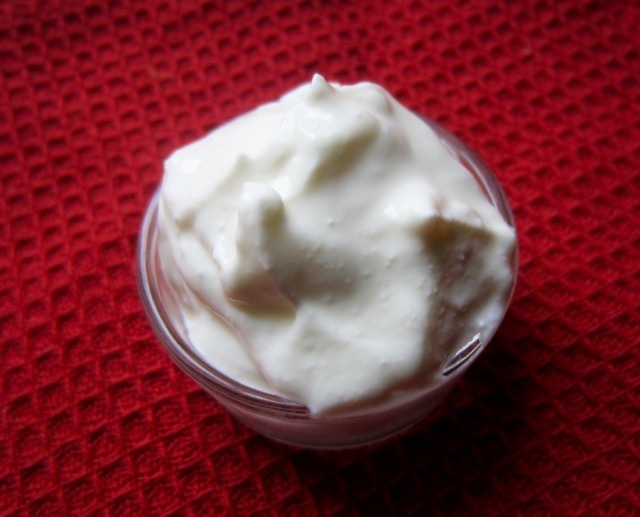 Crème fraîche is less sour and less viscous than the commercial sour cream found in North America. It also has higher butterfat content (30-45%) than commercial sour cream, which usually has 14% butterfat in Canada and at least 18% in the US. 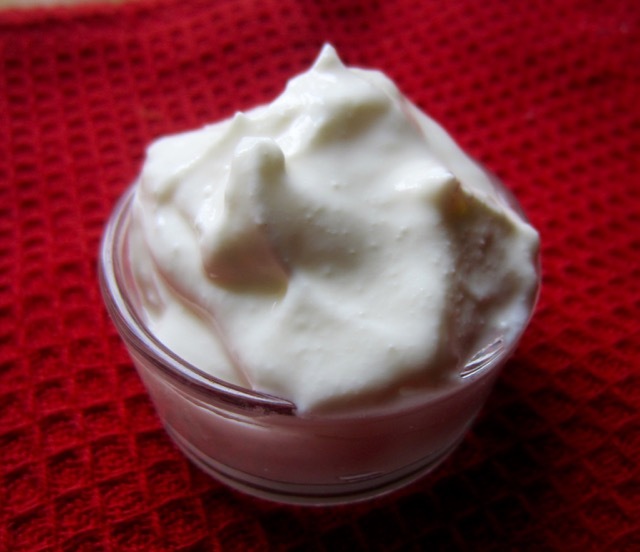 Ingredients in crème fraîche are cream and bacterial culture only. There are no other added ingredients or preservatives. Ingredients in commercial sour cream may include milk and whey solids, rennet, starch; emulsifying, gelling, stabilizing and thickening agents and preservatives, to give it a longer shelf life. Prev What is Vanilla Extract (vanilla essence)?